A very similar name to the haunted Khooni Nadi . English meaning is “Bloody Gate”. Its an ancient monument built by Sher Shah Suri in 1540. Its 15.5 meters high and it has staircases to get on the roof. It was initially named Kabuli Darwaza. Some people mix it with Lal Darwaza but Lal Darwaza is a different Darwaza. Khooni Darwaza later became a favorite place to hang the heads of unwanted princes. Aurangzeb displayed his elder brother Dara Shikoh head at the gate. It is said that later he was buried at Humayun Tomb. After British took over the country, they killed the sons of Bahadur Shah Zafar named Mirza Khizr Sultan & Mirza Mughal and also his grandson Mirza Abu Bekar at this gate . It is believed that the ghosts of Bahadur Shah Zafar’s sons are hunting Khooni Darwaza. During the partition riots, hundreds of refugees were killed here. In 1739 Nadir Shah attacked Delhi and killed thousands of people here. History shows this place witnessed the most deaths than any other place in Delhi. On 15 Nov 2002 a medical student was gang-raped by three youths. She was a student of Maulana Azad Medical College that is on the other side of the road. News article say that she was dragged off from the street on the knifepoint and taken in the Khooni Darwaza. Following this incident, the monument sealed by authorities. You can still see the monument from outside. Locals believe that ghosts of thousands of people haunt this place. People claim they were slapped and pushed by an unknown entity. People start to feel negativity near the monument. In the past, Khooni Darwaza was just close to Muslim cemetery. There is no guard or police here to protect this monument or criminal activity here. 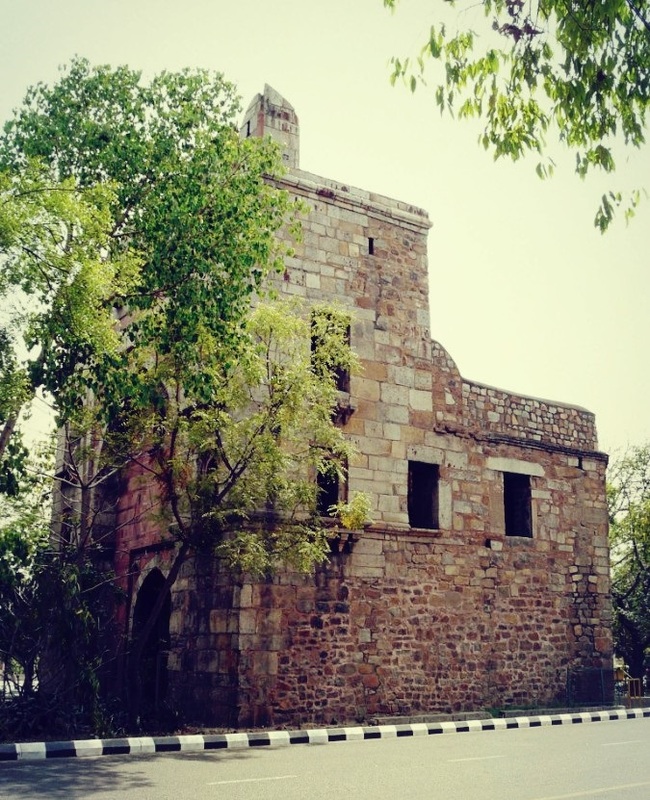 In my search of paranormal, I started to spend nights at Delhi’s top haunted places one by one. Khooni Darwaza was in last of my list as this is not talked much. Also, it’s a small monument that is almost sealed and getting inside is virtually impossible. On my first attempt of trespass, I was caught by a biker police, but i managed to convince him that I was just taking pictures. But he didn’t let me stay there as it was almost midnight. I again planned a visit on next weekend and took one of my associate with me named Suraj. I was fully loaded with cameras and night vision stuff to record anything. We managed to get at the top of the monument. While I was recording the 2nd floor, my associate came and told me a guy is standing above on the roof and he saw him. We thought it could be a security guy. Not to get in trouble of police we immediately came out and checked that point to see if anyone there. There was no one, I convinced my associate that it could be a hallucination, but he was sure that he made eye contact with that guy. Anyways I told him that we found, but we get a video for my YouTube channel, and that is enough. But I was surprised to see the footage, as soon as we entered Khooni Darwaza my both camera lost audio recording, the video was fine but there was no audio and when we came out after seeing that guy our camera’s audio get restored. I was thrilled to see all this and decided to get whatever paranormal thing is there. In that view, i arranged the 3rd visit with my another friend named Jatin. This guy is mentally stronger than me and was ready to face any paranormal. Here Suraj Saw A Guy Staring At Us. 4) Google Pixel camera for night pictures. Now the real thing starts as soon as I was trying to enter the Khooni Darwaza. Some entity came to my collar mic and whispered loudly “MAT AAO” means don’t come, and after that voice, my audio recording started to get weird sounds and sometimes audible things of different different guys. As soon as we reached the top where last time my associate saw a guy staring us our camera’s audio gone again. We used induction sensors to check if any electromagnetic thing triggers something here but nothing. Our sensor remained silent. We stayed there till 1:15 AM and later we came out safely thinking that all went fine. Again I was shocked to hear the voices of different people in my backup recording. 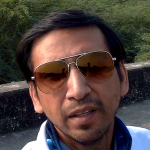 I have narrated everything in below video in Hindi with footage and audios. Besides these haunted stories you still want to get thrilled you can visit here. This monument is on Bahadur Shah Zafar road and is in between two lanes that have 24 hours traffic. There is no entry permitted, since 2002 case it was locked by authorities. The nearest metro station is Pragati Maidan. You can visit here by bus then nearest bus stop to Khooni Darwaza is Shaheed Bhagat Singh Park. To get Google maps Location Click Here.